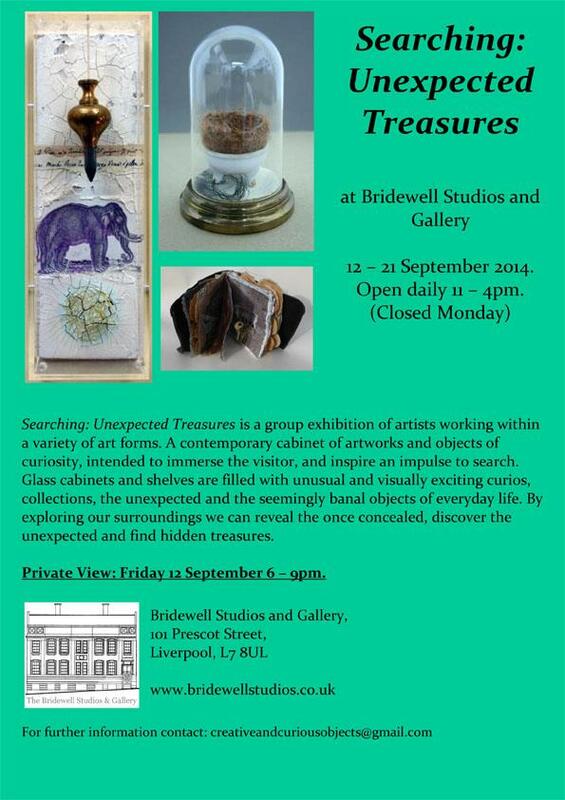 My work will be shown in the Searching:Unexpected treasures exhibition at The Bridewell, Liverpool. More images of my book (shown on the exhibition poster ) can be seen on the ‘Books‘ page on this site. The book is made from Rubber and contains pages made from tea bags, paper and textiles. Keys once lost, are nestled between the pages. When I was making this installation, I was thinking about how secure (or not) our individual accommodation was. I found that more and more people that I knew were now struggling with paying their rent or mortgages and a few had to give up their homes.